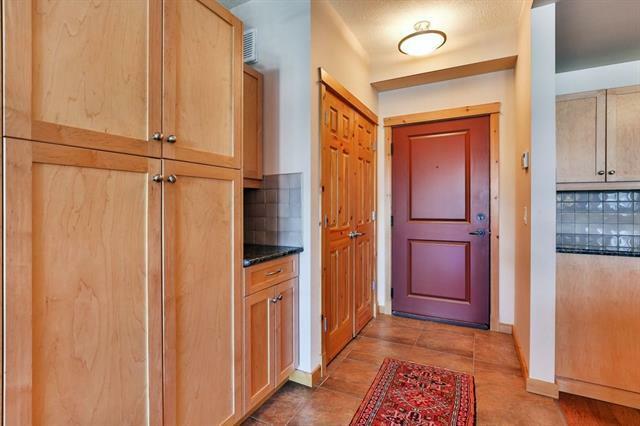 Impeccable quality, thoughtful design & spectacular mountain views are evident in this 1469 sq ft mountain home. 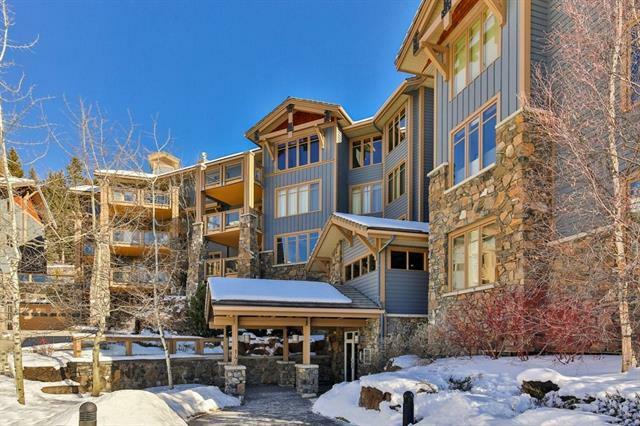 Located in the "Pinnacle at Silvertip, arguably one of Canmores finest complexes. Relax in the open concept living space & enjoy the warm natural light, stunning SW valley views & a Rundle stone gas fireplace to cozy up apres ski. 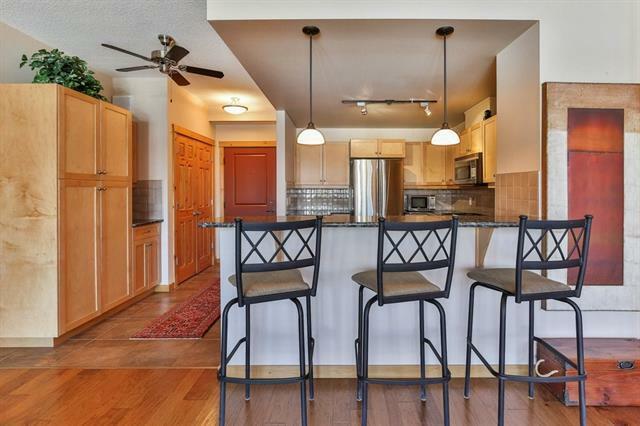 The peninsula style kitchen is spacious & features a breakfast bar, granite counters & SS appliances w/gas range. A custom floor plan, dining area seats ten, concrete construction, 9 ceilings & hand-scraped Hickory wood floors offer comfort & value. Two spacious bedrooms located on opposite ends of the suite provide privacy & a large den ideal for additional living & guest space. 4 pce guest bath w/ jetted tub & heat lamps. The oversized master bedroom boasts plush carpet, serene mountain views, walk-in closet, ensuite w/ his & hers sinks, soaker tub & separate shower. 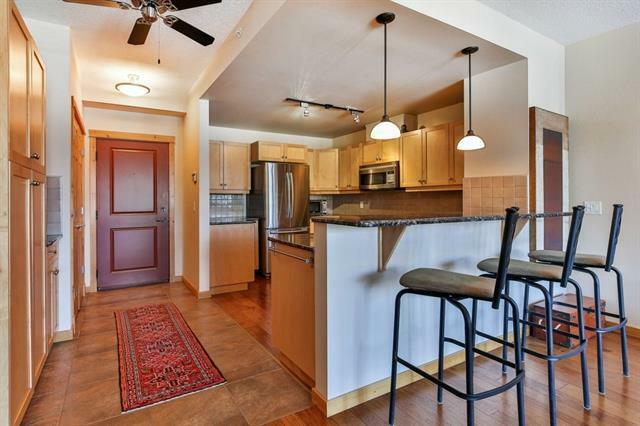 Two heated underground parking stalls & storage room included. Furniture is negotiable.